Tom Hampson at the presentation ceremony at the 1932 Los Angeles Olympic Games, having won the gold medal in the 200 metres. 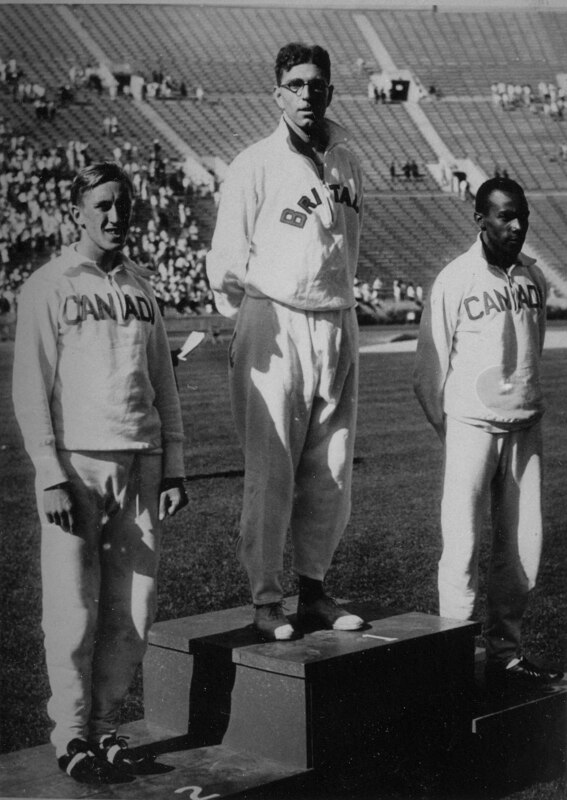 According to the list of winners in the 1932 Olympics, Thomas Hampson actually won the 800m not the 200m. His time was 1:49.7, two tenths of a second ahead of the Canadian Alexander Wilson in second place with the Canadian Philip Edwards in third. Yes, the park was named after Tom Hampson, who was Social Relations Officer for Stevenage Development Corporation between 1954 and 1965. Not sure about the 1 minute mile!! My pottery teacher at Martins Wood juniors was his wife. I’m sure that the Park was named after him “Hampson Park” ? She also told the story that her husband ran the first 1 minute mile as a pacer for Roger Bannister.